The most summer I had all fun! 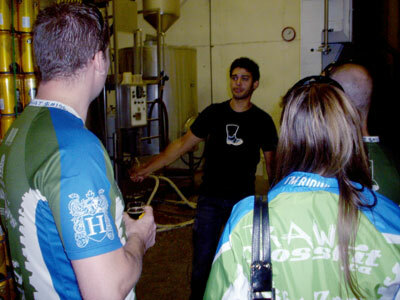 This weekend CTS took a road trip to Wellington Brewery for a Private Group Tour. 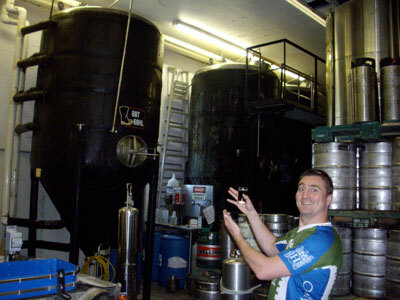 The tour included samples of their finest beers, a guided tour of our brewing facility, and a Wellington Brewery plastic mug. 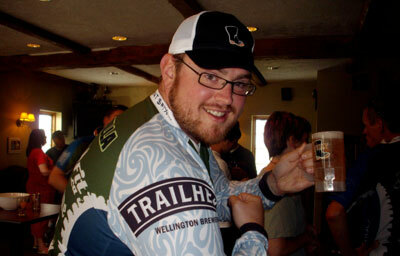 A big thanks to Wellington Brewery for their support of the CTS bike club. 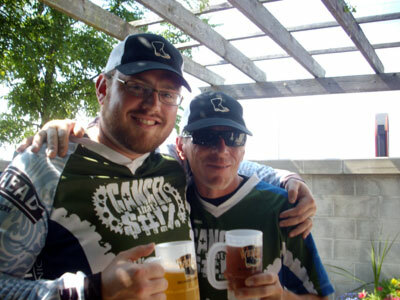 Above: CTS drinking at the Duke's House. 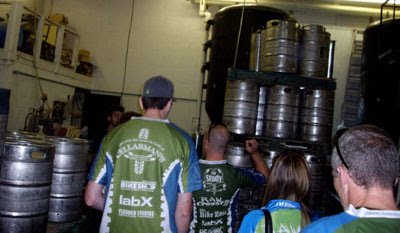 Above: CTS taking a Private Tour of the brewery. 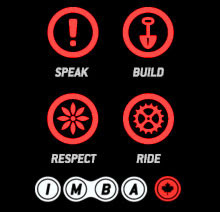 The topic of a group ride in Muskoka has come up a number of times and I recently came across an event that gives us the best reason as to why we should head north. There seems to be a lot of us in the CTS group that have dogs as companions and a lot of us just love animals in general. I have seen Angela come to a sudden stop in the middle of a trail to help a toad get across safely and Greg has bailed into a tree stump more than once to avoid running over a cute little squirrel. Well, at least that’s what he told us. Well now, we have an opportunity to step it up and help get Guide Dogs off the street and into a good home with someone that needs them, and that opportunity is called Puppy Pedal. So we get to do what we enjoy the most (biking) and at the same time we gain some incredible brownie points for our good deeds. Can you imagine all the commitments we can get out of, just by performing this one selfless act of riding for Puppy Pedal? 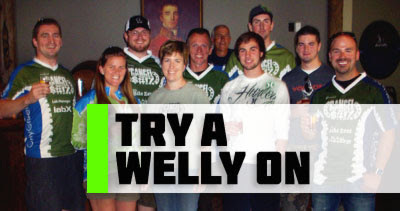 I can hear it now … “honey it’s only my mothers 75th birthday party! 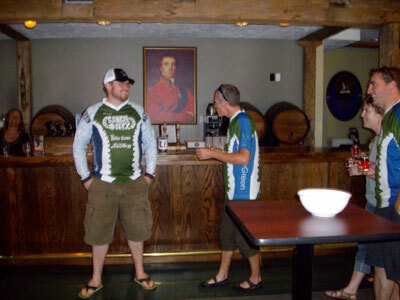 You rode for Puppy Pedal so just Cancel That $hit and go for a ride with your buddies” or even … “babe, no need to worry about going out for dinner on our 20th wedding anniversary. Don’t forget you rode Puppy Pedal 2 months ago so go ahead Cancel That $hit and get out for a ride. I’ll have a bbq’d steak and your favourite beer all ready for when you get home”. So lets act quickly and sign up for this as it’s only a few weeks away (September 18th) and we may even be able to start to Cancel That $hit right away because this cause is that good!!! 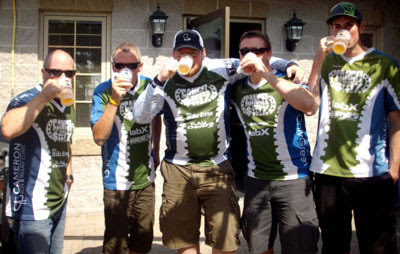 The CTS bike club out there enjoying the natural spaces of Ontario, during the Month of August 2011. Warning: In this video there is a short clip that may be offensive to fellow CTS rider Meagen, I'd like to apologize in advance. I'm sorry I couldn't refrain from the humour of this clip. It fit so perfectly, don't hate me. Saturday, October 1st is International Take A Kid Mountain Biking Day! 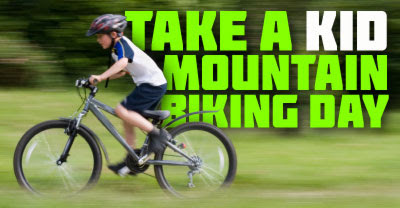 This October marks the seventh annual celebration of Take A Kid Mountain Biking Day, an event which has put more than 43,000 kids and adults on bicycles worldwide. Organized by the International Mountain Bicycling Association, the event takes place on the first Saturday of every October. 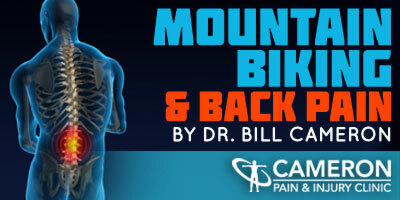 This is a great opportunity for you to pass your passion for pedaling on to kids!